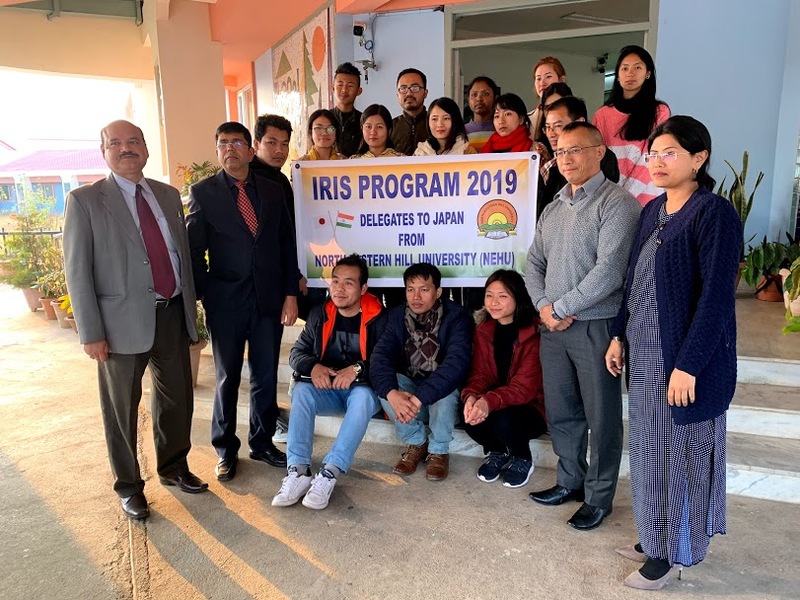 Altogether 16 students from NEHU representing all the seven states of the North East have been selected to go to Japan under the exchange programme ‘Iris’. The aim of this initiative, which is fully sponsored by the Government of Japan is to understand Japanese culture, technology in the fields of environment and disaster prevention. In an interaction with the media January 24th, 2019 at the VC Conference Room, Dr J.N. Nayak, Registrar informed that the students selected to go to Japan are all NEHU toppers from the north-eastern States. “We are very proud and thankful that the government of Japan has chosen this university for the exchange programme tour,” Nayak said. ‘IRIS’ is a youth invitation programme of the Government of Japan, which invites talented young people from the north-eastern region of India. “Our students will have a great time in exchanging views on culture, religion, tradition and factors which affects development of ones country,” he said. He informed that through the exchange programme, the government of Japan will also be sending some of its students to various universities in India. “We hope the Japanese students will soon be coming to our university,” he said. Also present at the interaction were the selected students, Dean, School of Economics, Management, Prof. B. Panda, the Dean of Students’ Welfare, Prof. S. Umdor and Assistant Professor, Economics Department, Dr. Deigracia Nongkynrih.